It’s the anniversary of Margaret Mitchell’s death or is it? The death of Gone With The Wind author Margaret Mitchell, Aug. 16, 1949 is one of the most famously written about stories of any celebrity death. As the story goes she was crossing the street at Peachtree Street & 13th in Atlanta with her husband, John Marsh and was hit by an off-duty cab driver who was drunk Aug. 11th and she died on Aug. 16th. There was also the story that her husband burned papers and other things including the clothes she was wearing that night. Hugh Dorsey Gravitt, the off-duty taxi driver whose name is known worldwide as the man who hit Margaret Mitchell was charged with drunken driving, speeding, and driving on the wrong side of the road and was convicted of involuntary manslaughter. He served almost 11 months in jail. Last year I was in contact with Gravitt’s daughter Gloria Gravitt Moulder who told me that her father shared his side of the story when he lived with her in the last year of his life. She had wondered about it growing up but did not speak of it to her father until he felt comfortable in telling her. It was a story she wanted told, so despite no former writing experience she wrote a book about it. When I read the first version of her book I thought it was fascinating but as I told her I thought it was a bit harsh and judgmental. That being said, she did a lot of research and there are some facts there that couldn’t be denied. Since then she has re-introduced the book with many documents and pictures. The most interesting is the death scene picture, which she has on the front of her book. What troubled Moulder most was that according to her dad and also her interpretation of the picture Margaret Mitchell must have been dead because no one was tending to her and her husband (as shown in the picture) is standing up looking away, instead of kneeling beside her. Moulder got a copy of Mitchell’s death certificate which I have seen, as well as the police reports and accident drawings. After her discussions with a coroner she feels that the outfit Mitchell was wearing that night was evidence because according to her father, Mitchell was not run over by the car, she hit her head on the bumper of the car as she fell and suffered a brain injury which is what killed her. According to Moulder’s interpretation of the picture there was no blood on Mitchell’s dress. In her quest to get the case re-opened, she has made attempts to get some documents unsuccessfully. “The court records are sealed and they won’t let me have access to them,” she said. Moulder knows what a beloved figure Margaret Mitchell is to so many who have enjoyed her novel Gone With The Wind over the years. She also knows that every year on the anniversary of her death the media would seek out her father and ask him about it. According to Moulder, the only journalist who was sympathetic to him was Celestine Sibley. Sibley was a well-respected writer for the Atlanta Constitution who had known Mitchell. She was one of the most popular long-running columnists. “My dad talked to her occasionally over the years and I was in contact with her after he died and she encouraged me to write his side of the incident,” said Gloria Moulder. Though Aug. 16 is the date regarded as Mitchell’s death day and is recorded on her tombstone, Moulder thinks her death day was Aug.11. Gloria Gravitt Moulders’ first version of her book got some bad and hate -illed reviews from those who saw her words as bitter. While she definitely adds her emotion in her book, the second version contains more facts and documents to back up her claims. 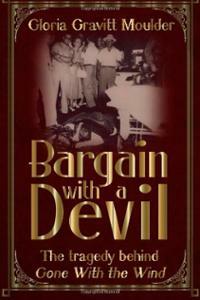 With the second version, called “Bargain With A Devil, The Tragedy Behind Gone With The Wind” (http://www.amazon.com/Bargain-Devil-Tragedy-Behind-Gone/dp/0615746519/ref=sr_1_1?s=books&ie=UTF8&qid=1376682264&sr=1-1&keywords=bargain+with+a+devil) she has received two additional reviews and this time they are not critical. There were two reviews of the book on Goodreads.com, a book review site which show that there are others besides Moulder who had questions regarding Margaret Mitchell’s death. 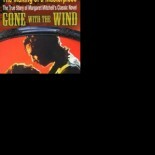 When I was writing my book, The Making Of A Masterpiece, The True Story of Margaret Mitchell and Gone With The Wind I spent some time with a someone who personally knew Mitchell and this person told me that they had question in their mind regarding Mitchell’s death, and they even went as far as using the word suicide. For some reason after spending so much time and giving me some very interesting information the person requested I leave them out of the book. Because of the close nature of their relationship and the fact that this person was not a public figure I respected those wishes, but some of the thoughts in these recent book reviews brought back memories of my conversation with this person. This review on Goodreads.com by Kathy Whiten, written July 8, 2013 sheds some light on the fact that others may have had questions. This review by Bob Munneke, on Goodreads.com July, 2013 also raises questions. Gloria Gravitt Moulder is determined to get the case re-opened. There is a reporter for an Atlanta television station who is interested in it also. “My dad was so traumatized from the incident, then the cover up, lies, and media circus that occurred following it, that he refused to tell what actually happened that day for forty-two years,” said Moulder. Sally Tippett Rains is the author of 11 books including “The Making of a Masterpiece, The True Story of Margaret Mitchell and Gone With The Wind.” She is also the content manager for StLSportsPage.com. A fascinating account and hopefully will be brought to light. I have never heard of this and have followed all kinds of things regarding Margaret Mitchell. A sideline of my interest, was the fact my mother and grandmother were “caught up” in the funeral procession to Oakland Cemetery and could not get out of the line, so they were with the mourners, although unintentionally. Just a little personal fact that kept me interested through the years. This entry was posted on August 16, 2013 by gwtwbook in Gone With the Wind, Margaret Mitchell, Uncategorized.